The stand maintained by Assam chief minister Sarbananda Sonowal over the Citizenship (Amendment) Bill 2016 has yet again questioned the credibility of the title of ‘Jatiyo Nayak’ to him. While the Assam chief minister remained silent on a day when the contentious Bill was lapsed in Rajya Sabha, BJP leader and Manipur chief minister N Biren Singh has expressed his happiness as the Bill elapsed on the last day of Upper House on Wednesday. It may be mentioned that the Assam CM, who was a former AGP leader, was accorded the title of ‘Jatiya Nayak’ (national hero) by the All Assam Students’ Union (AASU) for his fight against the infamous Illegal Minorities (Detention by Tribunal) Act in the Supreme Court and subsequently getting it repealed. Sonowal, however, later resigned from the regional party to join the BJP. He became a union minister when BJP came to power at the Centre and was later sent to the state politics and became the CM, leading the saffron party to victory in Assam in 2016. 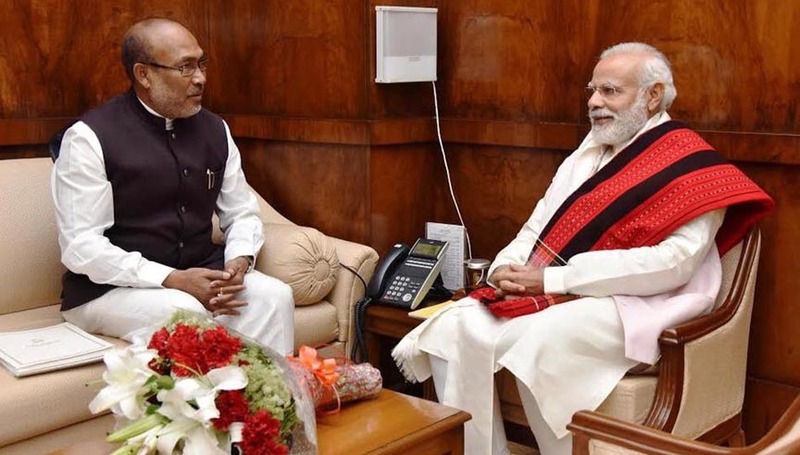 While the Assam CM has played a major role against the illegal infiltration in the state and was an active harbinger of regional politics at one point of time, Manipur CM N Biren Singh hails from a Congress background. The parallel between the two CM became apt in the present circumstances as the Manipur CM, despite his saffron affiliation dared to oppose the Citizenship (Amendment) Bill, 2016 although the Bill won’t have much impact in the hill state even if it is passed. The Assam CM, on the other hand, despite his involvement in the anti-foreigners’ movement in Assam, failed to raise his voice against the Bill, which not only witnessed a sustained opposition in the entire region but also united almost all the people in the region to stand against it. Hundreds of organisations including AASU, which was led by Sonowal in the past, have protested in the last two months in Assam and other parts of the northeastern states against the contentious Bill. There were also demands by several organisations to denounce Sonowal as ‘Jatiya Nayak’ due to his support to the Bill. The contentious Citizenship (Amendment) Bill, 2016 could not be tabled on Wednesday and lapsed in the Rajya Sabha which was adjourned sine die on Wednesday. “On behalf of the people of Northeast and in particular Manipur, I would like to profusely thank Honble PM @narendramodi ji, President @amitshah ji and HM @rajnathsingh ji for not tabling the CAB and opting for consensus driven approach. We deeply appreciate ur affection for NE!” the Manipur CM tweeted on Wednesday after the Bill elapsed in Rajya Sabha.